The Jean-Bouin Stadium will host a match between Angers and Nice on Saturday evening. Both sides won in the last round. Home side defeated Strasbourg 2:1 while the visitors beat Lyon with a single goal. 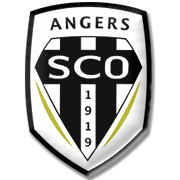 After a three-game unbeaten run, Angers has moved up to middle of the table. They are still having trouble scoring and their goal difference is negative. At the start of 2019, they were shocked by the National 2 side Viry Châtillon and taken out of the French Cup. And four of their last ten games were draws. Nice only lost once in the last six games in the league. Lille defeated them 4:0 in round 23. They were also taken out of the French Cup but by Toulouse who beat them 4:1. Angers and Nice have met on ten occasions so far. Five games ended in a draw, including the last three encounters. We might be in for another. Angelo Fulgini is a French footballer who plays for Angers in Ligue as a midfielder. Fulgini played for the likes of AS de Saint-Paul-en-Foret, FC Vidauban, SC Douai and Valenciennes during his youth career and he continued playing for the Athenians at senior level. After scoring eight goals in 80 appearances for Valenciennes from 2015 to 2017, he moved to Angers before the start of the 2017/2018 Ligue 1 campaign and he quickly established himself as a first-team regular at Stade Raymond-Kopa. Angelo Fulgini scored his first ever goal for les Scoistes on August 6, 2017 in a 2-2 draw with Bordeaux. Despite being born in Abidjan, Ivory Coast, on August 20, 1996, the Angers midfielder represents France on the international stage. Angelo Fulgini has 3 caps for the France U21 team, while making 15 appearances for the U19 team. His main position is central midfield, but he is uses as both right-back and right midfielder as well. His preferred foot is right.